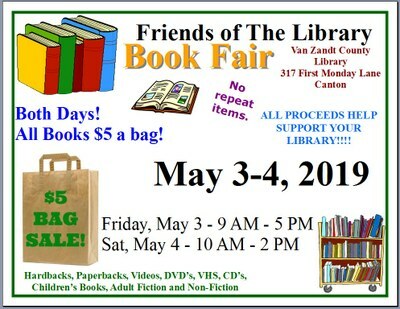 Mark your calendar for the upcoming Book Fair!!!! Try this online library filled with magazine articles, encyclopedia entries, and other materials to help you discover more on any subject, from general interest to business, hobbies, and more. Please see your librarian for a username and password. What Is Your Library Worth? Take this short quiz to see the value that you personally get from the Van Zandt County Library.